Returning to session work following the breakup of Flame, Crespo attracted the attention of Aerosmith's management following the departure of Joe Perry from the band in 1979. 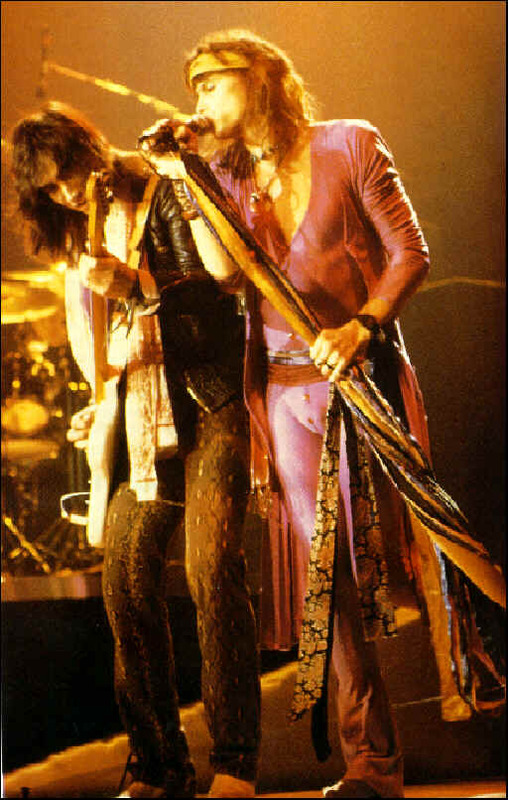 Invited to audition for the vacant lead guitarist position, Crespo was asked to join Aerosmith in October 1979. Contributing a guitar solo to the song "3 Mile Smile" for the already recorded Night in the Ruts album, Crespo commenced touring with the band soon after joining. The tour was hampered by the increasingly erratic state of the band's singer, Steven Tyler, at this stage heavily beset by drug addiction and suffering several on-stage collapses. Despite the singer's troubles, including an incapacitating motorbike accident in January 1981, Crespo and Tyler forged a credible songwriting and touring partnership before the departure of Brad Whitford struck the band in 1981. Crespo co-wrote the majority of songs on Aerosmith's 1982 album Rock in a Hard Place, performing almost all the guitar duties on the album. Crespo served as the stolid musical capstan of the band during this period. The level of his work remained high even as the work ethic of his bandmates continued to deteriorate. Charting at number 32 on the US Billboard chart, Rock in a Hard Place reportedly cost over $1 million in production costs, featuring a plethora of production and engineering staff amongst its credits. Xavier Russell said of it in Sounds: "As soon as the needle hit the wax, it melted and the speaker covers blew across the living room floor - Five Stars". Subsequent tours from 1982 through to early 1984 saw Crespo hold together a band besieged by the toxic dependencies of their lead singer, Brad Whitford having exited the band during the recording of Rock In A Hard place due to the inherent issues. Commercial difficulties during pre-production of the band's next album coupled with singer Tyler's desire to reconvene with former guitarist Perry saw Crespo exit the band in mid 1984, when the original lineup re-formed. Immediately following his tenure in Aerosmith, Crespo played on releases by Stress and Adam Bomb, the guitarist spending several years with the latter-named Geffen Records signed band. Crespo contributed guitar to the Adam Bomb album "Fatal Attraction" (Geffen 1985) before settling in LA with new wife Cynthia to raise two children. Crespo joined bassist Danny Sheridan and Bonnie Bramlett in their new band Bandaloo Doctors from 1987 to 1992 and returned to session work as well as touring and recording with Billy Squier for several years. 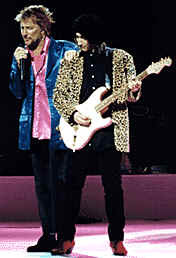 From 1994-1996, Crespo joined Rod Stewart's live band as lead guitarist, helping the rock legend to one of his most successful tours. The World Tour was number one in sold-out performances and ticket sales, highlights including performances to a sold-out Wembley Arena and rocking performance of "I'm Losing You" at the American Music Awards. Continuing to play as a studio musician, Crespo has also performed at some of Las Vegas' biggest casinos, whilst also engineering a rock amplifier simulator ("Rock Amp Legends by Jimmy Crespo") for Nomad Factory. Crespo currently plays regularly with the bands Phoenix, Rock Daddy and Sin City Sinner as well as others on the Las Vegas entertainment circuit. Today Jimmy embarks on a new journey with his own band, The Jimmy Crespo Project. Keep an eye on Riff & Roll for tourdates, music releases and more!